I think kindness is my way of contributing to a better world when I don’t have the energy or ability to volunteer or contribute the way I’d like to. Being kind is simple and easy to do, and it really feels good when you go above and beyond with your kindness. 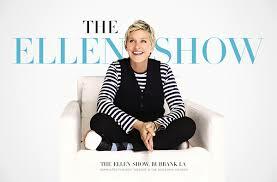 Anytime I’m not feeling great, so pretty much every day right now, I go onto YouTube and watch all the clips I can find from the Ellen (Degenerous – as if I needed to say it) show. It doesn’t matter what I’ve been through that day or what pain I’m in at that moment, Ellen’s kindness and comedy somehow makes everything better. I can sum it all up with a few simple ideas that her show brings to mind. 1. There’s always someone else in the world who has it worse off than you do. I actually hate that idea. I hate it because it forces me to discount my own pain. Regardless of who has it worse, if you’re having a bad time then you’re having a bad time and that just needs to be acknowledged. That said, it’s also very true. It’s easier to be grateful for what you do have if you can realize what it is that you do have. While watching Ellen build a home for a woman and her family because they didn’t have one, I remember that I do have a home. And while I live in a small apartment with my husband and my furr babies, it’s warm and it’s sufficient and I really am grateful. Whenever we’re complaining about not having anything to eat that we want to eat, I have to again remember people who skipped all meals that day to feed their kids. It may sound depressing, but it makes my mac and cheese taste so much better. 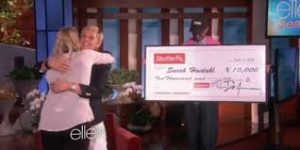 Ellen’s shows are a great reminder that there are people in the world who truly don’t have the opportunities some of the rest of us do, even those of us who aren’t very well off. 2. Giving feels way better than receiving. Perhaps you doubt that. Sometimes I do, too. I imagine being handed over my own check for $25,000 and everything I’d do with it. Of course I’d have to pay bills, but beyond that the first thing I think of is sharing with my family so they can also pay their bills. I think of all the gifts I’d buy my friends and family or the trips I’d take them on because no one in my family can really afford anything special like that. What’s the big deal with bills anyway? We all have them. No need to worry. 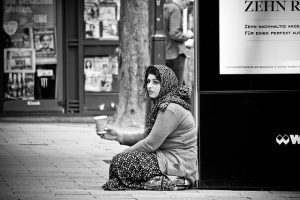 If the rent and utilities are paid and everyone is fed, it’s enough. So why not give what you can? It always makes me feel better. 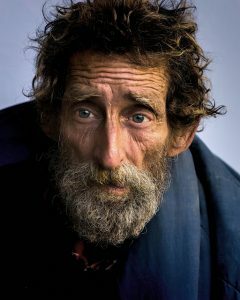 Even when I’m scrounging for change to pay for gas so my husband can get to work, I’ll still pull over and drop a couple quarters in a begger’s hands. If someone is standing by the side of the road with a cardboard cut out sign, begging for change, then they need my fifty cents way more than I do. And I always do feel better when I can give. I still think about the poor woman sitting outside Walgreens when I went to get my prescriptions. She held a simple sign that stated, “hungry.” I know how that feels. I was going to overdraw anyway to get my prescription so I threw in some nuts, cheese and water for the hungry person outside. I will never forget the look on her face when I handed her the bag full of snacks and a $5 bill. She didn’t smile, she was beyond being able to which is so sad. But it made me feel better that there was one more person in the world who wasn’t going to be hungry for that moment, thanks to me. 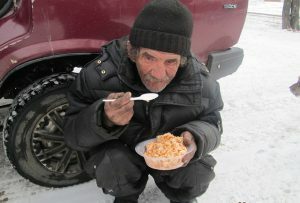 I consider moments like these my own little “Ellen Moments.” They’re my change to feel good by helping someone in need. 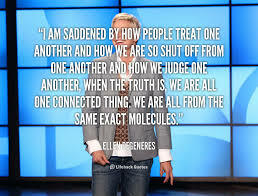 Be Kind to One Another is Ellen’s motto. Well, I don’t know if she’d say it was her motto, but she’s known for saying it. Better than that, she’s known for doing it. Being kind is something I love to do, too. You don’t have to spend money or give things away to be kind. 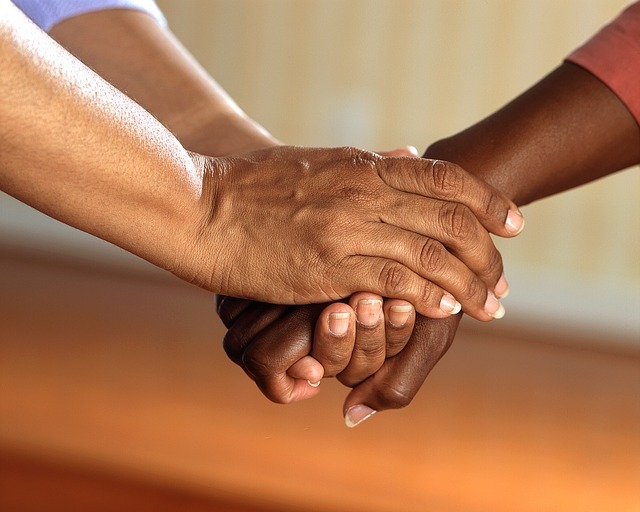 A simple smile or saying, “hi,” to someone in passing can go a long way to heal your own heart. Try being nice to a customer service rep on the phone, even if you’re pissed off about the service you’ve received. In the end, things tend to go much smoother and I actually feel more positive when I’m kind. If you need help feeling better about yourself, I highly recommend watching Ellen (no I don’t get paid for promoting it) and finding ways to be kind to other people. What do you do to feel better? What are some ways you’ve been kind? How did it make you feel? 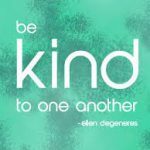 Please share with my readers in the comments below so we can all learn how to be a little more kind to others and feel a little bit better about ourselves. I love your post. It’s so inspiring. You made me think of a song called “You Get What You Give”. It’s a really nice song. You should go and check it out. I’m happy to spread love and inspiration through words of kindness. And I love that song. Thanks! Love the article! It reminds me of a time when my husband and I did not get great service at a restaurant we regularly go to and he did not want to tip our server. Since I’d been a waitress before, I had noticed that she had several tables, was moving all the time, and had been dealing with some extremely demanding customers at the next table. So we left a very good tip along with just a simple note that thanked her and said we hoped the rest of the night got easier. The next time we went to that restaurant that server came up to thank us for being so kind. She said that they had been swamped that night and another server had called in sick, but that our note had made her night. You never know what’s happening behind the scenes sometimes, and it’s such a simple thing to choose to be understanding instead of judgmental. What a great story! I have also worked in the food industry and know how tough it can be sometimes. I never fail to tip no matter the situation, just in case there’s something going on that I can’t see. Leaving a note is a plus. Thanks for spreading your kindness!